Free Bloomin’ Onion at Outback Again! Ryan Newman placed in the top 10 at another NASCAR race over the weekend, which means another FREE Bloomin’ Onion. 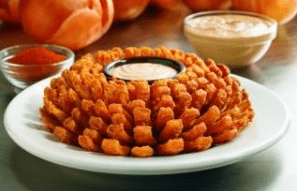 If you are heading to the Outback Steakhouse tonight, be sure to mention the name Ryan Newman when ordering to receive a FREE Bloomin’ Onion with any purchase. You just need to purchase something in order to get this freebie– even a soda or alcohol counts and this is valid on take-out orders too!